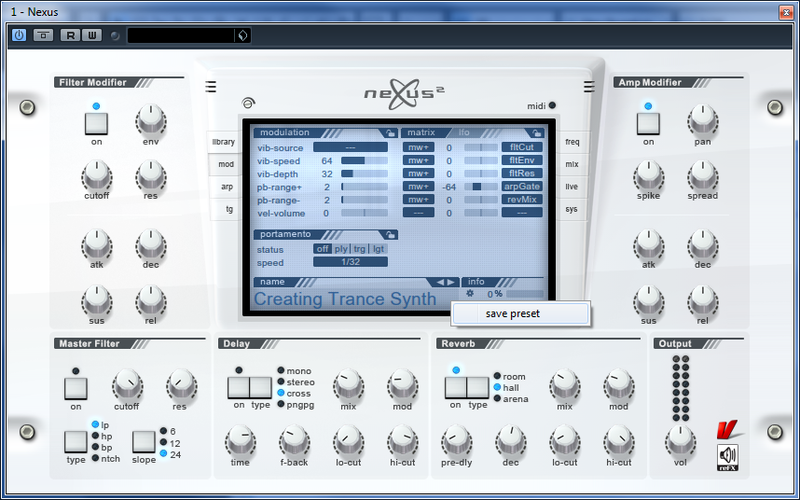 ReFX’s Nexus 2 synth is one of the best Rompler Virtual Instruments out there for making music quickly and to a very high production level. 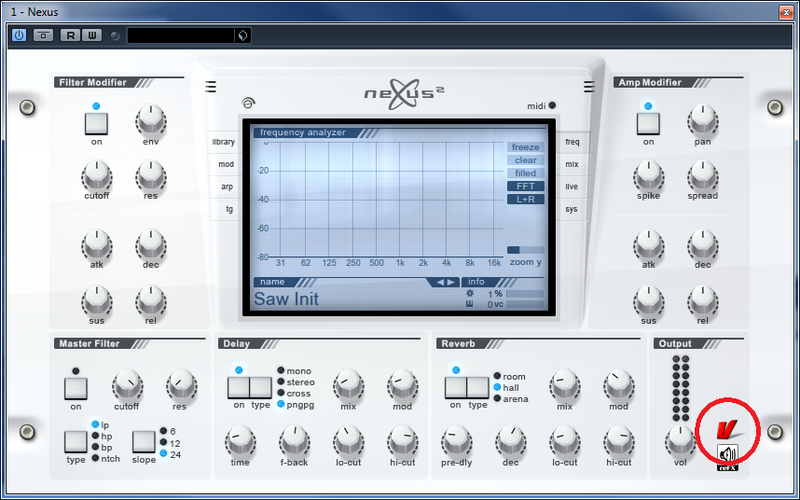 Nexus is a next generation ROM synthesizer-plugin that delivers a level of sonic quality unsurpassed by even the highest end hardware. Euphoric leads, glowing keys, otherworldly pads . 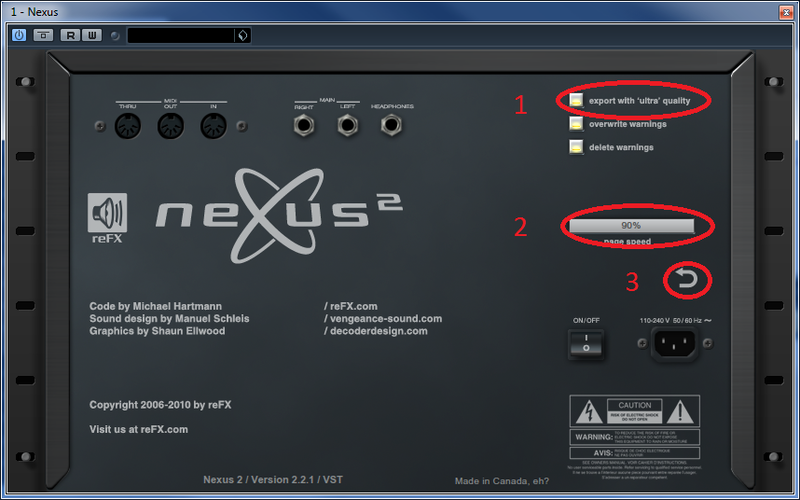 . . Nexus 2 does it all. Here’s some tips and tricks if you’re lucky enough to own Nexus. First, head across to the options page by clicking the red Vanguard logo. Here you’ll see the ‘back panel’ of Nexus. 1. 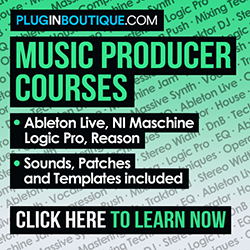 Export Ultra High Quality – use this when you are rendering out your tracks, you can always flip it off when writing to help squeeze more juice out your computer. 3. Return to main page. ok, next up is another tip for locking sections. 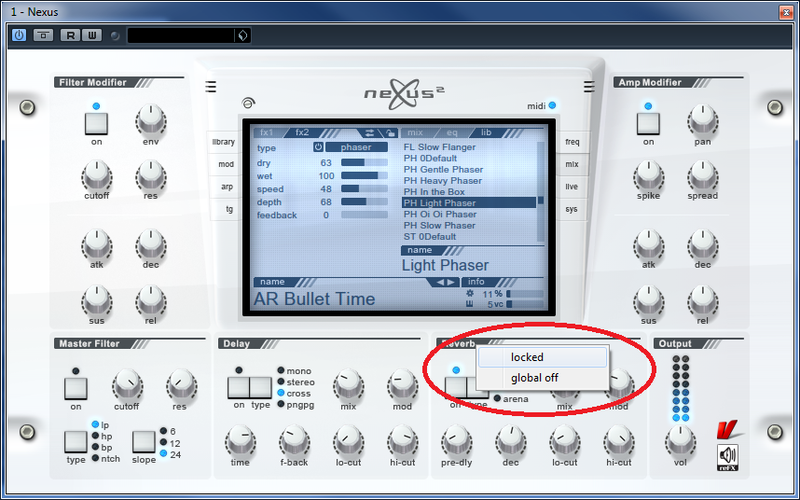 If you find one patch has an effect you really like, for example a great delay settings, but you don’t like the patch – you can right click that section and select lock. now when you move on to another patch, that locked section’s settings are carried over to the new patch. Did you know that you can also rename sounds, and rate them as well. Double click on the patch name and you can call them whatever you want. You can also right click and save that sound also ! Don’t forget to rate your favourite sounds as this can be an efficient way to quickly locate your killer sounds, especially if you have numerous expansion packs.